The Hall of Fame is dedicated to preserving the tradition of excellence manifested by specific individuals through the history of outstanding services provided to people who are blind or visually impaired in North America. It is housed at the American Printing House for the Blind (APH) in Louisville, Kentucky, but belongs to all. The ceremony to induct Collins and Perry will take place on Friday evening, October 17, 2014, in conjunction with APH's 146th Annual Meeting of Ex Officio Trustees and Special Guests, at the Hyatt Regency Hotel in Louisville, Kentucky. Joining the fifty-two outstanding legends previously inducted, are these two remarkable figures who changed lives around the world. Their stories of accomplishment are powerful. 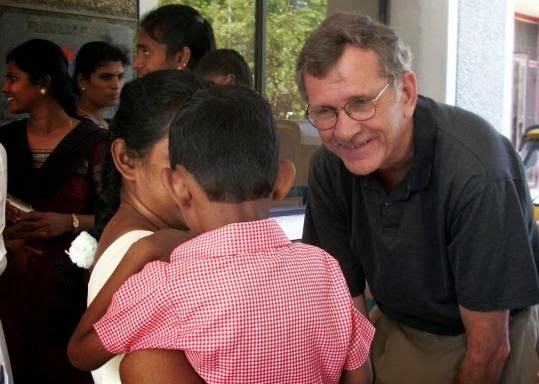 Mike Collins dedicated 30 years of his career to Perkins; first as supervisor of the Perkins School for the Blind’s campus-based Deafblind Program and then as founder and director of the Hilton/Perkins International Program, with the mission of training teachers to teach children who are deafblind with multiple disabilities in developing countries. Under his leadership, the program grew from serving a few hundred students to helping more than 10,000 children annually in 63 countries. He traveled to dozens of countries as a "missionary" for children who are deafblind and blind with additional disabilities working with education and government officials. 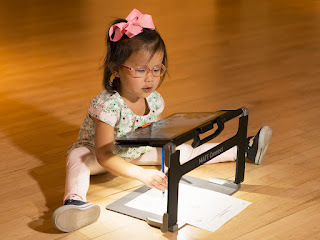 He was, however, most comfortable on a mat with students explaining to parents and teachers how to help students achieve more than their families and teachers thought possible. Before his extensive work in special education, Michael studied theological studies at St. John's Seminary in Boston. He brought that care, compassion and understanding with him to his work with students who are deafblind. Mr. Collins served as vice president and president of Deafblind International and was a board member of the International Council for Education of People with Visual Impairment. He also founded the National Coalition on Deafblindness. Collins received the distinguished Perkins' Annie Sullivan Award and Deafblind International’s Lifetime Achievement Award and their Distinguished Service Award. Dr. Newel Perry was called the father of the modern civil rights movement of the blind. According to Matson (1990), Perry "presided as mentor and godfather to the [organized blind] movement," spawning the California Council of the Blind (1934), the National Federation of the Blind (1940) and the American Council of the Blind (1961). 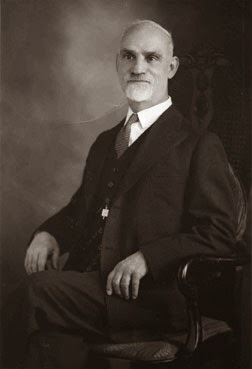 In 1912, Dr. Perry took the post which would define his career, Director of Advanced Studies at the California School for the Blind, and was in this position until retirement in 1947. He is best known for having mentored "Perry's Boys (and Girls)," a group of talented blind young men and women who would, with Perry's assistance, begin the organized blind movement of advocacy and civil rights. Honors include: California Council of the Blind, Hall of Fame, 1996 (original member), California Council of the Blind’s Newel Perry Endowment Trust, the National Federation of the Blind’s highest award – named for Newel Perry, and, within NFB's Jacobus tenBroek Library, the Newel Perry Conference Room, appropriately named for tenBroek's beloved mentor. When asked what was his most important work, Dr. Perry answered, "Oh, my most important work was my dragging the blind out of their sleep, stirring them up, putting some ambition into them, and then helping them." Additional information regarding the 2014 Hall of Fame Induction Ceremony will soon appear on the APH website, www.aph.org. Visit the Hall of Fame website at http://www.aph.org/hall/ for information on the Hall and those inducted.